Have you ever found yourself relating differently to a location in the real world because of a fictional event that only took place in a novel? I’ve experienced that on more than one occasion. Once I was so invested in the novel I was reading that I started searching for the address where the characters lived. I found the street, but of course I didn’t find the street number because the address doesn’t exist. Still I was overcome by an urge to ask the people passing me on the sidewalk if they perhaps were friends or neighbors of the fictional characters whose address I was looking for. The author whose novels have changed how I relate to real locations is Swedish writer Kerstin Ekman. 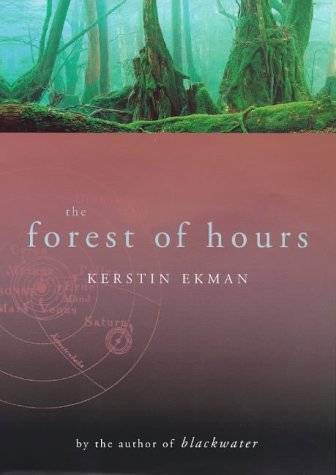 In her novel The Forest of Hours we follow the troll Skord from the Middle Ages in the Skule forest in northern Sweden to the pioneer settlements in Swedish Lapland five hundred years later by way of the battle fields of the Thirty Years War (1618–1648) in Germany. Because of her novel, it is Skord I think about whenever I hear the name of the Skule forest national park. And it is Skord who comes to mind when I read or lecture about that military conflict that laid waste to the European continent all those centuries ago. The one event in a novel by Ekman that has had the deepest effect on how I relate to a real location happened in God’s Mercy. Although I read that book many years ago, this particular event has stayed with me. 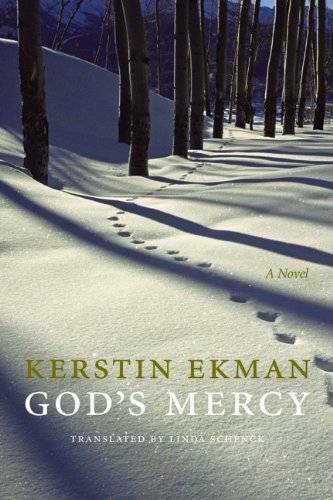 God’s Mercy tells the story of a woman named Hillevi, who in 1916 embarks on a journey to Lapland, where she will work as a midwife among the Sami and the settlers. While she is still in her hometown of Uppsala, a pregnant, unmarried woman–desperate for a way out of a hopeless situation–ends her life in the stream that runs through the city. The woman’s death touches Hillevi on a personal level and also serves as foreshadowing of what is to come in the story. Soon after I read God’s Mercy, I went to Uppsala to visit the university research library. I arrived in the afternoon and so I decided to take a walk through the city. 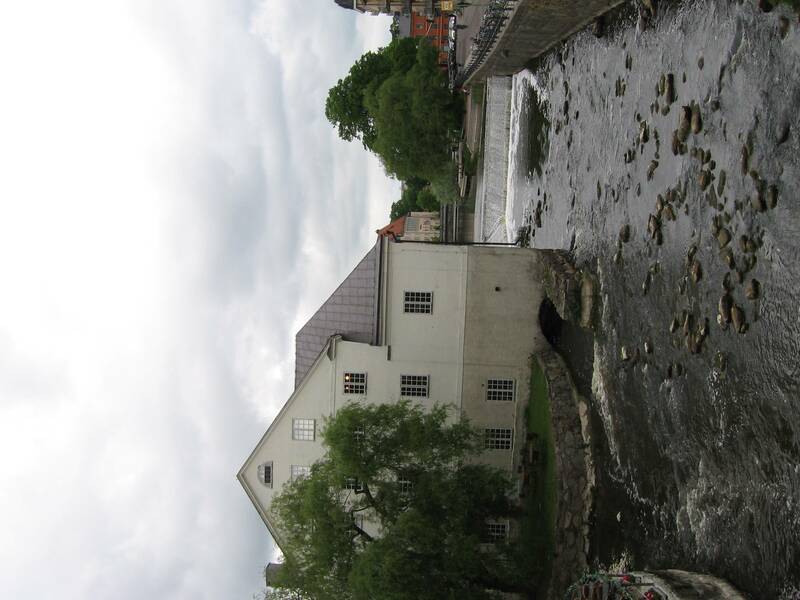 Strolling around aimlessly I found myself by the stream, looking at the waters where the young woman had died. The event took place in a novel, and consequently never happened, but I still couldn’t stop staring at the stream. I felt that I needed to do something to process what I was feeling, so I took a picture of it. Why am I writing about this now? Because I found that picture when I was going through photographs recently. And seeing that stream frozen in time brought me back to the moment when I stood staring at it, overcome by emotions caused by an event that never happened in real life. What fictional event has affected how you relate to a real location?